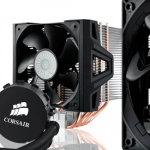 Home » Reviews » How to Choose CPU Cooler That Suits Best for Your PC? How to Choose CPU Cooler That Suits Best for Your PC? Times when processors consumed about 100 watts or even more are gradually disappearing into the past. New technologies of chip production allow to reduce the consumption and heating of the CPU significantly, and as known some mobile processors sometimes functioning completely without a cooler. However, in the desktop segment, the CPU cooler is an essential element, you won’t be able to build the PC without it. 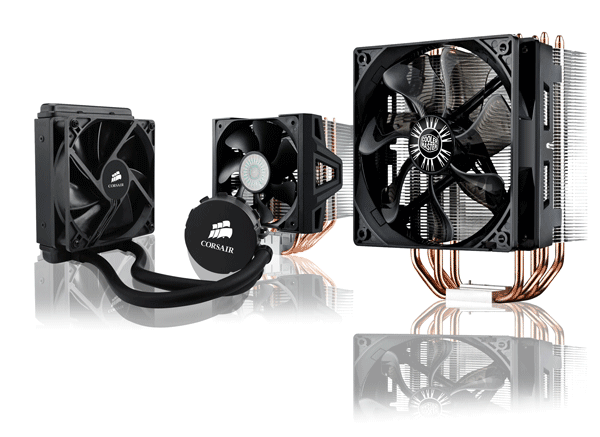 What to know when choosing CPU cooler? Let’s try to figure it out. Is Separate CPU Cooler Always the Best Choice? Most box processors that marked with “BOX” on the label are already equipped with a cooler in the kit. If the end of the label is marked with “Tray” or “OEM”, then the cooler is not included. If you are purchasing CPU with a cooler, then you don’t have to buy a cooler separately. Often it’s much cheaper, and the boxed cooler is quite enough to cool the CPU. When choosing a cooler for the CPU, the developers are guided by its capabilities, and select a cooler that, in the normal mode, copes with the removal of heat without problems. The performance of a standard fan is not always high. If on budgetary Celeron or Pentium (and Intel Core i3 too) that can blow the radiator (keeping low speed and low noise level), then on the Core i5 and i7 (as well as AMD processors for the socket AM3+) the fan spins much more than before the 1300-1500 rpm (on which noise is still low). Therefore, if silence is important — the cooler from the kit should not be used. The disadvantages of boxed coolers are a higher noise level and a lack of heat sink in case of overclocking of the processor. Therefore, if you want to have a quieter computer or overclock the CPU, it is better to purchase a separate processor and a separate quieter and more powerful CPU cooler. Take a Look at CPU Parameters When Choosing Cooler! In order to properly choose a cooler, we need to know the type of the CPU socket and its heat dissipation (TDP — thermal design power). CPU Socket — the motherboard connector for the processor installation, which also has a mounting for the cooler. Different sockets have different types of mounts. TDP. Since the processor does not perform mechanical work, almost all the energy consumed by it goes to heat. You can find out how much heat is allocated by the CPU in cooler’s specifications (in the column TDP). The more powerful the processor is the more energy it consumes. The real consumption of budgetary Intel Celeron, Pentium and Core i3 is from 20 to 50 W, so they do not need a powerful cooler. Intel Core i5 and Core i7 for sockets 115x, and AMD Ryzen — from 50 to 100 watts. More than 100 watts are consumed only by Intel Core i7 processors, like Core i7-6850K (quite a good cooler for i7 series Cooler Master Hyper 212 EVO), and Xeon, AMD FX-8xxx and FX-9xxx (the latter is 8-core processor that can consume up to 300W in overclocking — you can choose PartsCollection AMD FX-9370 Cooler Master). When choosing a cooler for a quiet computer it is advisable to buy a model with power reserve. If the processor allocates 65 watts of heat, a cooling system for 100-150 watts is recommended. In this case, the fan does not have to be strongly untwisted even under maximum load. The same goes for cases when it is planned to overclock the processor. Liquid Cooling CPU Systems. Solid budget options (up to $ 100 — Corsair Hydro Series H55 or Cooler Master MasterLiquid) that are designed to reduce the noise level from the computer. Comparing with similar tower coolers, it doesn’t provide better cooling, and often they are inferior to them. More expensive liquid CPU coolers allow to cool the processor with high heat dissipation without creating unnecessary noise. Such systems are worth buying only for the top gaming computer. Access to connectors and cables. A large cooler of the tower type can cover not only memory slots, but also other connectors. Therefore, it is worth to clarify the dimensions of the model you like, arm yourself with a ruler and measure whether it will interfere with some important elements. After all, if the fan connector or the 4-pin CPU power socket is closed, you will have to suffer a little when connecting them. Fan position. Some radiators can be installed in 4 different positions (top, bottom, left or right), and some of them – only in two (bottom/top, or left/right). The latter usually applies to AMD coolers, since their mounting holes are in the form of a rectangle (not a square). The position of the fan is important for the organization of the correct air circulation: if it blows up in the case with the top location of the PSU, the power supply may overheat, and if downward, the risk of overheating of the video card increases.